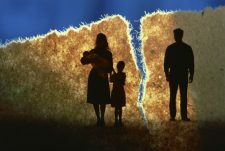 Claudio Sanchez of National Public Radio has a report on the negative effects on children who grow up without fathers. According to Sanchez, 24.7 million children in the United States do not live with their biological father. Sanchez documents the problems that arise from fatherless homes. For example, “Children are four-times more likely to be poor if the father is not around. And we know that poverty is heavily associated with academic success.” Liberals would have us believe that it matters not if children have a father in the home. Christians dispute this, as we know that it does matter to God. We know that it is His plan for children to have a mother and a father — a biological father.